When gaps appear in our lives they can yawn empty as chasms. Where is the next big thing coming from? Isn’t it time for something new? Sometimes the space indicates loss, missing things, opportunities, relationships. Even a tiny gap in our teeth can feel huge with tongue exploring round, never mind the cavernous emptiness when a loved one leaves or passes away. Hearts ache and bleed their loss. I’ve been living what feels like a lifetime in the gap, in the waiting-room between the here and now and where I want to be. And it hurts. Maybe you’re there too. When dreams fade and reality kicks us in to touch, when all we have is the memory of what we perceive as normality, then it may just be the time to look at the in-between life differently. Between this world and the next. What if we could see the gap between where we are now and where we want to be as a learning experience? If we could stop and savour the moment, right here, right now. Feel the pulse beat of our own hearts slow and steady to match His. Find grace and find God. Arms wide open. Ears attentive. Heart and senses finely tuned. Voice ready to whisper His wisdom. He is ready to receive us whenever we pause long enough to notice. 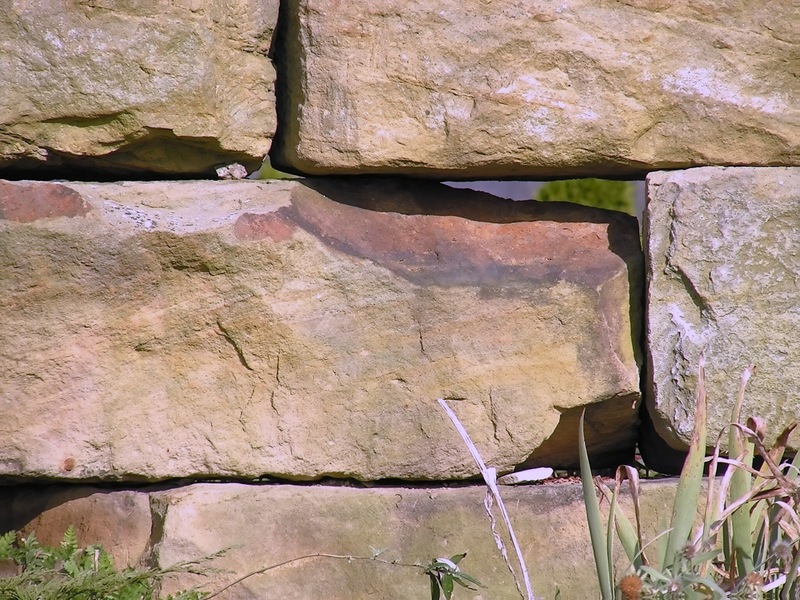 Yes, even when we build walls to close those gaps – walls of resentment, ignorance, pain, confusion and shame. Even as we rail and resist the dull and the dry and the downright boring. Even as we race to fill our lives with anything or anyone, spurning the painful places we dare not venture into. Dreading the dark and quiet of our own lives. A thousand unanswered questions on our lips and no time to wait for a reply. Each day offers us such spaces. Resting places. Opportunities for openings. Breathing stations on the way, if only we could see them as such. They are potential grace glimmers, soul savers and survival stopgaps. Life has many slow, mundane moments. Room for pauses. Listening places where wisdom can be imparted. The ordinary can become extraordinary depending on our attitude. My friend, you and I will find that in-between the mess and muddle of life a message to share is developing. In-between our tests and trials a testimony of God’s grace is shaping itself. Here, as we are now, between living and dying, every moment counts. Nothing is wasted. God uses every crumb. I’m still struggling to fully embrace the in-between life as hope deferred makes the heart sick and waiting for life to improve or change can feel like an eternity. But I want to learn to enjoy the in-between existence because it’s where most of our learning and growing take place. Faith is stretched. Trust develops and grows. Patience can have its way in producing perseverance and endurance. And perhaps we can learn not to mind having gaps in our goal-getting, pit stops in our progress or spaces in our schedule. Will you join me in attempting to live well in the waiting-room places of life? We can share and encourage one another to stay strong, live mindfully, be present in the moment and maybe enjoy the journey more because of it. How do you feel about the pauses in your life? Have you found ways to savour the moment? Please feel free to share in the comments below. I love to hear from and reply to you. 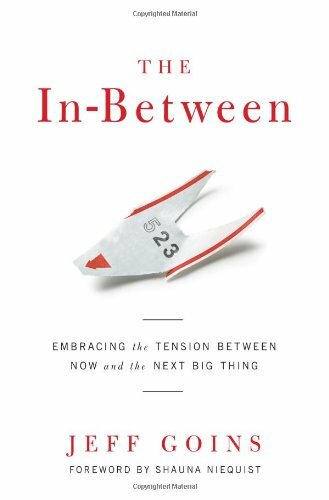 The book quoted from above, ‘In-between:Embracing the Tension Between Now and The Next Big Thing’ is a new one by Jeff Goins, author of ‘Wrecked’. It’s a beautifully written, semi-autobiographical account of learning to live well in the in-between spaces and places of our lives. And in doing so we may even discover our true calling. Jeff speaks with a great deal of insight, wisdom and wry humour. It’s a powerful, pacey read, full of anecdotal experience to back up the helpful information shared. I highly recommend it as a truly helpful and informative read to encourage us to make the most of our journey of life and faith. Love this, Joy. Perhaps it is key to this in-between existence of ours – to mind the gap and respect ourselves, even in the not-yets. Thank you for these thoughtful words. 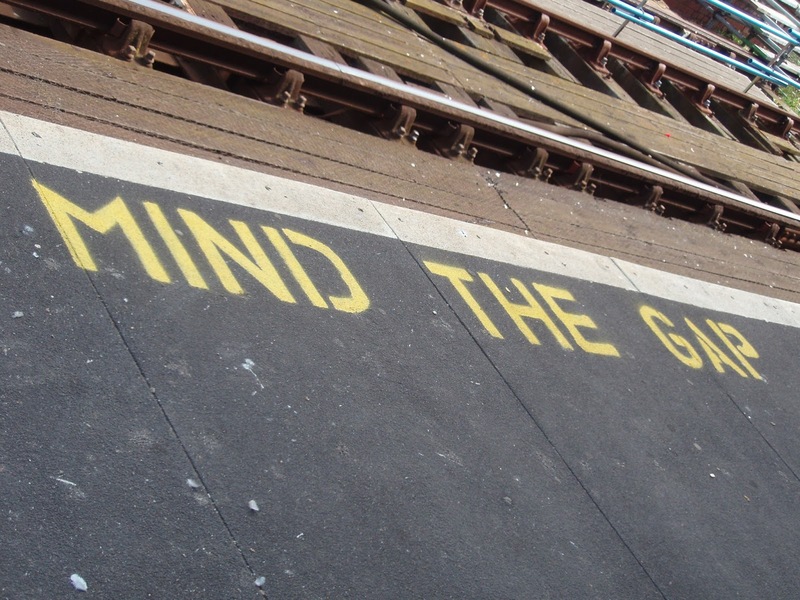 Yes, it really is important to mind the gap "and respect ourselves, even in the not-yets". Sometimes our impatience to be moving on prevents us from appreciating right where we are. And then we're prone to feeling discouraged and defeated. Rememebering we are works in progress and every stage counts is part of the growing and accepting process. Thank you for adding your insightful thoughts here, Kelli. Bless you. Yes, we do learn to live in the present moment once we have a chronic illness! But this is such a rare place to live in a world that screams busyness all the time, that it truly becomes like treasured moments in the gaps between our past and our futures and we learn that this is the only time we truly have control of! What a great post, dear friend. Indeed we do, even if it's by default! It has definitely become "a rare place to live in a world that screams busyness all the time" and a real need for those of us whose lives benefit from restful, quiet times. I totally agree that "it truly becomes like treasured moments in the gaps between our past and our futures". We have influence over how we spend those gaps of time and how much we invite God into them. Mind the gap. Yes, we must. I love the way you explain the 'gap' between the here and now and everything else. Jeff's book made all of us ponder that 'gap' in our lives. Teaching us to slow down, ponder the here and now instead of rushing on. Jeff's book certainly has given us all a lot of food for thought, hasn't it? It's the implementation of the ideas that is hard and challenging. I do better at this some days than others! Thanks very much for stopping by, Patricia, and leaving a lovely comment. Thank you for your beautiful reflection. I am learning to embrace the gap. I see where I am now and God's grace filling the empty holes, where I would struggle alone, He carries me. I saw an image once that really spoke to me that said, when you are waiting for a door to open, praise Him in the hall. The hall was once bleak with things slowly disappearing from the walls, sunlight replaced by mourning, but now has become a hope filled sanctuary as I hide in God's palm. What a lovely thought, to "praise Him in the hall" while we "are waiting for a door to open". Gaps in our lives can be filled with so much. More often than not we choose to fill them with disappointment or discouragement in the waiting process rather than hope and faith. I am encouraged by your testimony, "now I think of them as an opportunity to experience God's possibilities as I draw close to Him through my pain". That's so inspirational! Thank you, Anita, for sharing your beautiful insights here.